If there’s one thing GMC can do, it’s create a seriously badass looking truck. The 2017 GMC Sierra HD All Terrain X is no outlier to that statement. 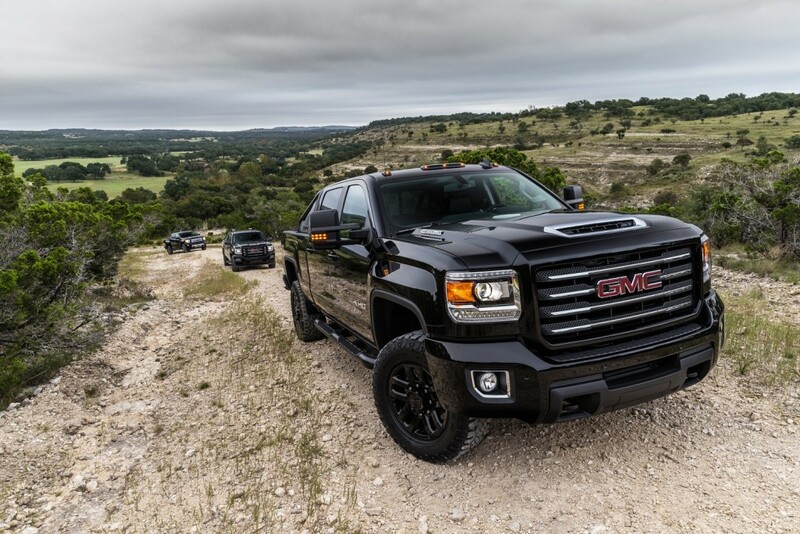 The latest addition to the All Terrain X portfolio adds the rough and tough goodies to the latest 2017 GMC Sierra HD. More importantly, that means you can have boss looks alongside the latest 6.6-liter L5P Duramax turbo-diesel V8 engine. What better way to tell the world you have 445 hp and 910 lb-ft of torque than with some aggressive off-road design cues? Specifically, the Sierra HD All Terrain X adds 18-inch, black-painted aluminum wheels, A unique body-color grille surround with All Terrain insert, body-color door handles and bodyside moldings, four-inch black sport side steps and a bed mounted black sport bar among other various cues. 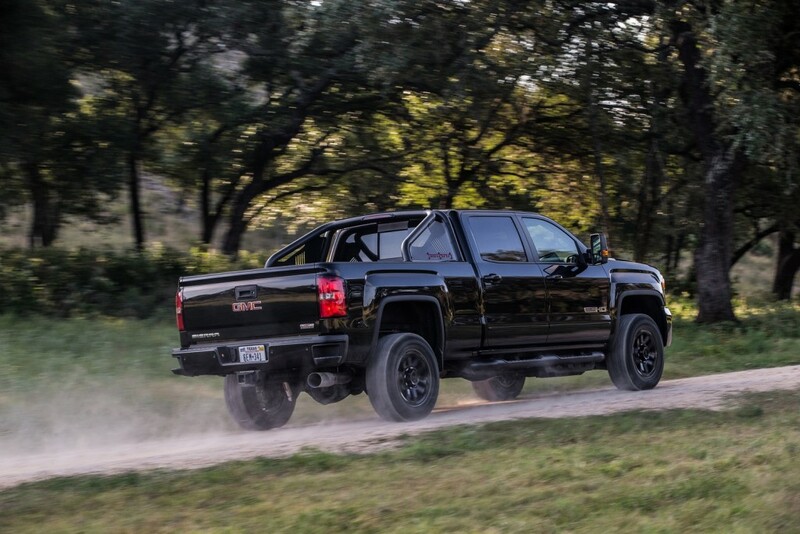 In terms of actual off-road performance, GMC has wrapped the black 18-inch wheels in LT275/65R18 Goodyear Duratrac MT-rated tires, which help give the 2017 Sierra HD All Terrain X a menacing look. So, if you couldn’t tell, we quite like how the Sierra HD All Terrain X looks. It may not be a tried-and-true, dedicated off-roader, but it will look good on trail or off, at least in our collective GM Authority eyes. But, we invite you to vote in our poll below and chat us up in the comment section below. Is the 2017 GMC Sierra HD All Terrain X hot or not? Love the truck, hate the price. Looks awesome, now only if GMC will offer the All Terrain with the front 40/20/40 bench seat with the same A/T trim.. Thank goodness they are at least letting the diesel into this one for performance sake, but I doubt the majority who buy this package will ever take this large a vehicle into any serious off road situation. Too expensive to risk and besides the tires, nothing they added in the package will help increase usefulness off road. Personally, I think the all black or “murdered out” look is getting boring.